Baltimore Orioles outfielder Adam Jones was the target of racism from the Fenway Park crowd during his team’s 5-2 victory over the Boston Red Sox on Monday. According to Nightengale, Adam Jones said this wasn’t the first time he was on the receiving end of racism in Fenway Park. 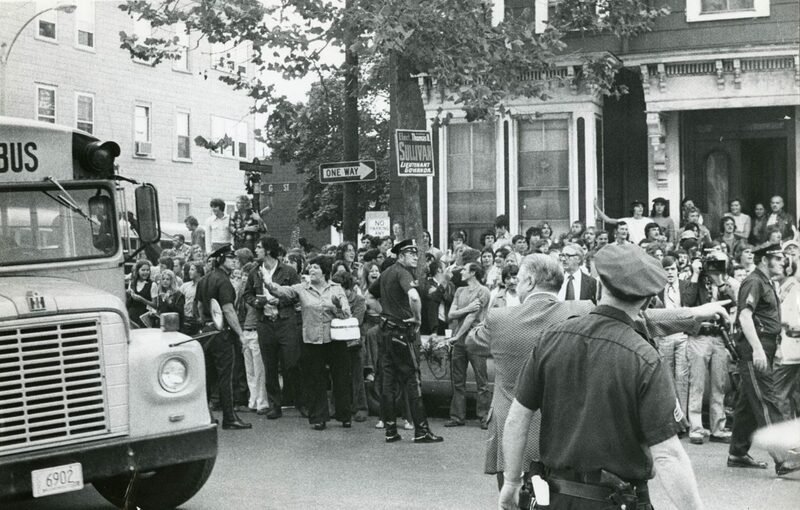 While there are many stories of racism when it comes to Boston sports, the stigma is tied to protests and rioting after the court-ordered desegregation of Boston’s public schools, which was carried out by forced busing. The violence was crystalized in an historic photo snapped in 1976 of a black man being attacked on City Hall Plaza by a white anti-busing protester who wielded an American flag. There’s no getting around it. Instead of inspiring racial harmony, the experiment failed miserably as white parents threw stones at busloads of frightened black children without compunction. Boston has been known ever since as the racist city of segregated enclaves like Southie and Charlestown. Boston’s suburbs are the country’s third whitest, which contributes to the fact that the metro area has about half the black population of cities of comparable size. As Guy Stuart, a lecturer in public policy at Harvard’s Kennedy School of Government, notes, Boston’s black population is also disproportionately foreign-born: Where the national average is about 7 percent, Stuart says, here it’s closer to 26 percent. “They’re more likely to be Haitian or Cape Verdean in Boston,” he explains. Bob Collins notes how On Boston’s all-sports radio station WEEI this morning, the all-white panel blamed “outsiders who don’t know what it’s like here in 2017” for the national condemnation. Boston should acknowledge that their reputation is deserved, that racists walk among the city and reflect the values other more intelligent and rational people find repugnant. Boston has a lot of work to do so that the description the residents of color have of the city and Massachusetts match the description usually given by its white residents. Boston is certainly not alone when it comes to racism. Like many other places In America, it has to decide for itself how much skin it has in the game and how much racism it’s willing to endure. The bottomline is that none of this will change as long as whites refused to validate the experiences of blacks. Too often, many feel if it doesn’t happen to me it really does not exist. When an unarmed teenager is shot, it is his fault. When a man is choked out by police people blame the man the choked to death. That a radio host would say the racial taunting of Adam Jones is made up is baffling. I would use the term “unbelievable” but that would be be blind to what happens to victims much of the time. This is willful ignorance. Deliberate. And much too common. ISIS: Who Really Has A Strategy?